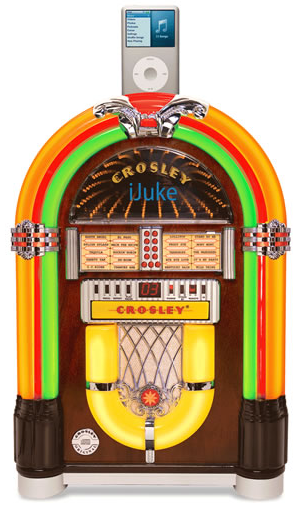 These Crosley Jukeboxes Feature Modern Day Technology While Keep That Very Retro 1950’s Look. If you have a game room, then a “must have” is a Jukebox. Lucky for you, we are a gold seal dealer for Crosley. 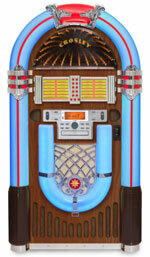 The Crosley line includes jukeboxes that will play our CD’s, MP3 Player, and iPhones. 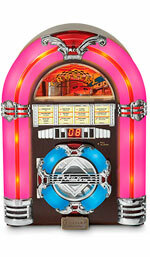 These jukeboxes are ideal for the retro re model on a budget. Check out selection below and contact us with any questions. One of our Crosley Jukeboxes specialist will be more than happy to help you.